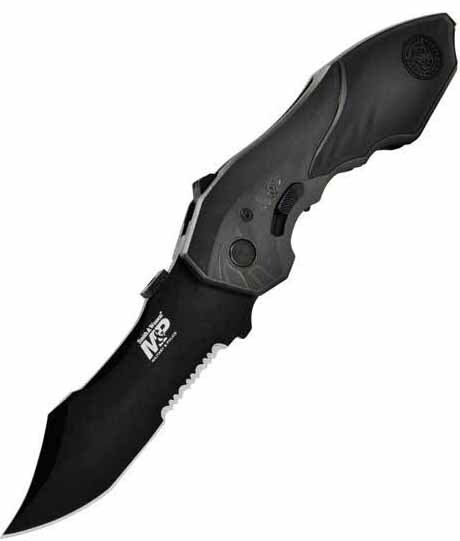 Assisted knife features a 3.50 in. blade made of 4034 stainless steel with a 5.0 in. aluminum handle, Thumb knob, finger acutator, safety and liner lock, and glass breaker.